Hello – I’m a black cat. Do you love me or do you fear me? Superstitions abound all over the world; not just about black cats, but about almost anything you can imagine. But we will start with the much-maligned black cat. Edgar Allen Poe owned a black cat. He was quite devoted to it, and often used a black cat in his writings. Black cats are are found liberally sprinkled throughout all kinds of literature, from the classics to modern day books, movies, television, blogs, and tweets. One of my favorites is an old movie with Kim Novak as a witch and a sleek black cat as her familiar. Black cats are worshipped in India, believed to be good luck. It is considered good luck to have a black cat in your house as a pet, but if a different black cat crosses your path, it then brings bad luck. Witches are believed to have black cats as companions or “familiars.” The cats are used to spy on people and to help cast spells. Some witches have other animals as their familiars. Crows and other black birds and fierce black dogs are not uncommon. Don’t get married in a leap year or on a Saturday. Sunday marriages are destined for good fortune. Rain on the wedding day means very good luck pertaining to becoming wealthy in the future. Oh, here’s a good one! If the bride looks at the groom through the wedding ring, he will always be faithful to her. Divorce lawyers would cry into their beers if this were true! Worth a try, though. Brides wear white to suggest that they are virgins. The origin of this superstition comes from “the old days” when the bride BETTER be a virgin or else. In arranged marriages, the father often “sold” his young daughters to the highest bidders based on their virginity and their attractiveness. 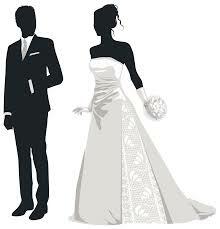 In modern times, the bride wears white in order to stand out from other females in the wedding. For instance, the bridesmaids might wear the famous seafoam green gowns. It is not necessarily bad luck, but certainly bad taste, for another woman in the wedding party to wear white. This is the bride’s day. 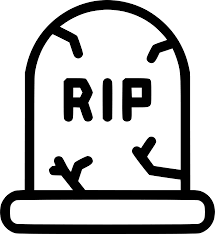 The silliest one I can think of is “the good die young.” Some idiot made that up, and it stuck. But obviously, age and good or evil natures do not apply to death. I kind of wish that the BAD would die young. Then, we might not have so many murderers and child molesters living to a ripe old age. I like this one: if you hear a clap of thunder just after the funeral, that sound is the deceased entering heaven. There are so many funeral superstitions from all over the world, so I can only mention some of the more interesting ones. Death comes in threes. This especially applies to celebrities. Whenever a famous person dies, everyone is waiting for the two other shoes to drop. And sure enough, it seems to happen, depending on how liberal your definition of “celebrity” is. Some people believe that birds are portents of death. For instance, if you see an owl during the daytime or hear an owl hoot, someone you know will die. If a wild bird flies into your house, yes, another portent of death. (Or a need to get window screens and keep the door closed.) If a bird sits on your window sill and looks in, it is looking for the one next to die. But if you keep a bird in the house as a pet, it is thought to bring good luck. 4. Ladders, walking under, “Oh, let’s go do that!…Maybe a hammer will fall on our heads or maybe we’ll step on a nail.” Common sense, where art thou? There are many more accidents caused by falling off a ladder than walking under them. And people get hurt all the time while trying to climb the ladder to success. 5. 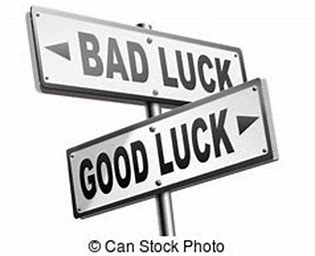 Good luck and bad luck portents are too numerous to fit in a book, much less a blog. Here are some of them. Baseball: spit on your bat and you will make a home run. Always wear new clothes on Easter for good luck all year. If you go to a casino, put a nickel in your shoe and play the nickel slots before you do anything else. It’s good luck to see a cow lift its right rear leg. Okay, let’s all go out and look for cows now. There should be some nearby. When you move to a new home, buy a new broom. Bringing an old broom to a new place is bad luck. I think you need to leave your old dirt behind so you can create new dirt. Don’t put hats on a bed. Don’t open umbrellas inside the house. (unless it’s raining in there) Bad luck to hear a dog howling at night (especially if it’s your dog. Get out of bed on the same side you got in or you will have bad luck. Bad luck to give a pair of socks to your boyfriend or girlfriend – They will walk away from you. If you see rings on any wood surface, you will get married within 6 months. (I’m not sure if that’s good luck or bad luck). No singing and dancing, hear? If you sing before seven, you’ll cry at eleven. 6. Triskaidekaphobes are those of us who fear Friday the 13th. I don’t, of course, and I’m sure that you don’t, either. Oh, but what fun it is to observe reactions to this unique day. And this is one superstition where actual facts abound. Some are quite startling. Here are 13 such facts. Many office buildings, high-rise apartment buildings and hotels have no 13th floor. They just skip from the 12th floor to 14th floor. Too many people would refuse to pay rent for anything on the 13th floor. Lots of hospitals do not have any Room 13s. If you travel a lot, you may have noticed that most airports lack a Gate 13, and airplanes have no 13th row. Many large shipping lines and cruise ships will not leave port on Friday the 13th. 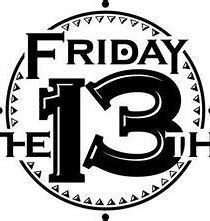 Friday the 13th is avoided for weddings, funerals, grand openings, and any large public event. It is blamed for floods, earthquakes, and other disasters. Consider Apollo 13. Even large cities try not to have a 13th Street, and in many cases, house numbers will skip from12A, for example, to 14A. It is said that one city in Italy has a street denoted as 12 ½ th Street, but I have not been able to verify this. I must end this article, as I am yawning, and yawning is a sign of bad luck! However, I would like to thank http://www.corsinet.com-trivia for some of the information used in this post. It’s a great site with lots of unusual topics that are fun to explore. On a serious note, I have mentioned Brother Jim in the introduction and several subsequent posts. Brother Jim is my real brother, and he has passed away. His memorial service will be tomorrow at a church in Texas, and his funeral will be on December 9th, one day before his birthday would have been. He was possibly the kindest man that ever lived. My Jimmy was a true prophet. He had a pipeline to heaven. He knew and told me many things that I cannot share with anyone. It is my hope that he will continue to communicate with me and provide the grace and guidance that he has given me for many years, He was a Christian minister, and his congregation consisted of hundreds of devoted followers. His ministry, The Steppingstones, will be carried on in his name. My dear brother Jimmy, I will miss you terribly. ← Do You Have a Spirit Animal?